There's nothing like a delicious smelling sugar scrub to give you glowing skin. This Summer, keep your skin fresh and moisturized with a Farmhouse Fresh sugar scrub. 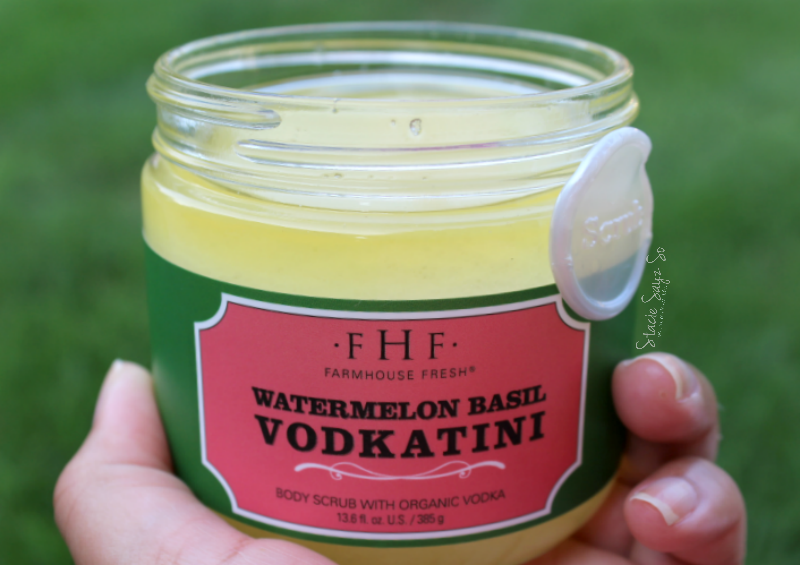 Today I'm featuring Farmhouse Fresh Watermelon Basil Body Scrub that I received complementary in order to test out. I know you're thinking Vodkatini? It has organic vodka in it. 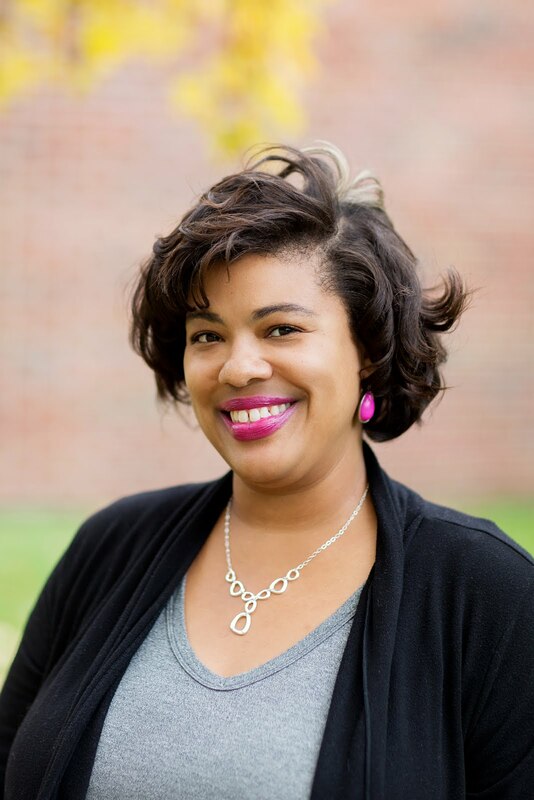 I use to make my own sugar scrubs and happen to know that alcohol is a natural preservative. Don't worry, no one is getting tipsy over here! 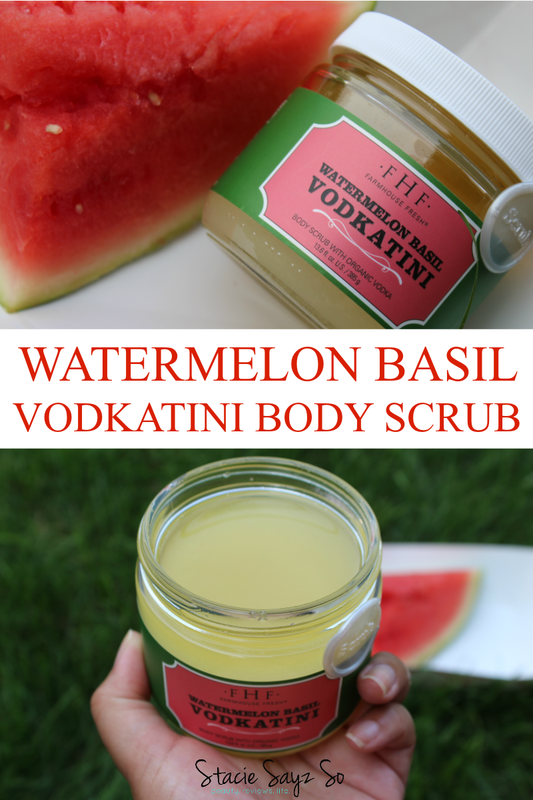 Watermelon-Basil Vodkatini Body Scrub is made with watermelon seed oil and rice bran oil and is 97% natural, and Paraben & Sulfate free. This stuff smells amazing! I'll be using this all Summer. The sugar rinses off clean and wasn't too abrasive. It left my skin so smooth and soft that I didn't need to apply body lotion but I did for added moisture. The only con is that I wish I had a scoop to use the scrub instead of digging my fingers in it I'm sure you can use a spoon though. 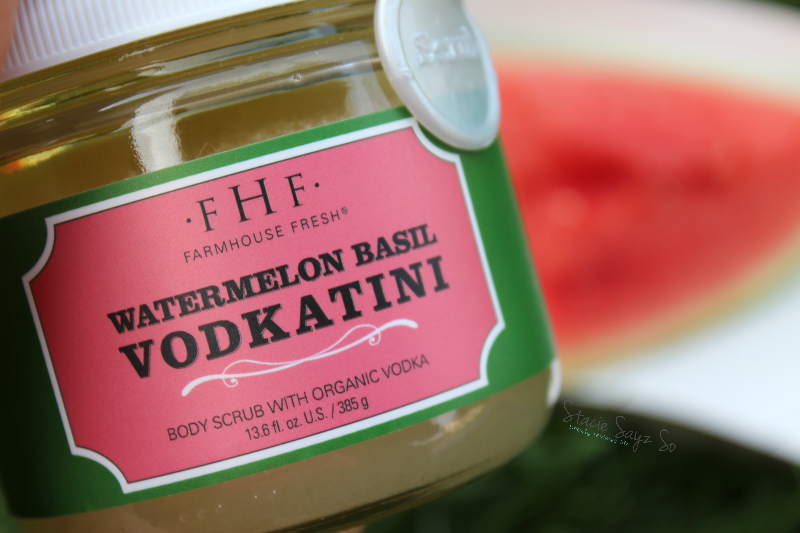 Purchase Farmhouse Fresh Watermelon Basil Body Scrub here. Do you use body scrubs in the Summer? What is your favorite scent? Oooh. I love watermelon! 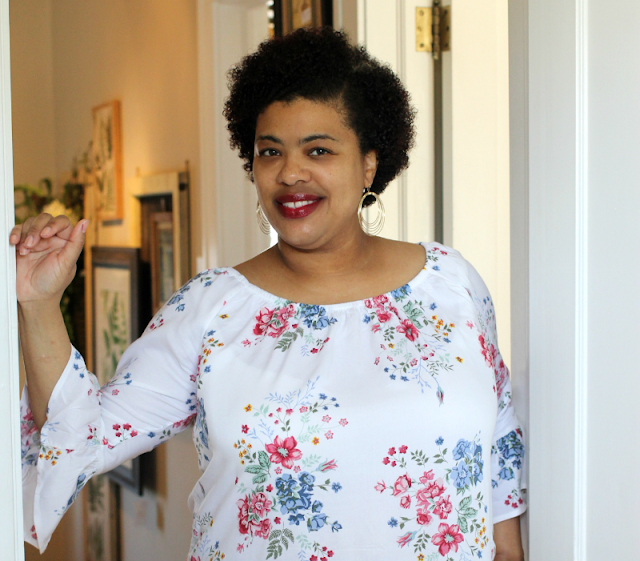 This sounds like the perfect summer scrub! Yes, it's perfect for Summer! I didn't either, but you really can't tell it's in there. That sounds like a great combination for the summer. This is paraben and sulfate free too, yes I will be looking to try this soon. Thanks for sharing. Paraben and sulfate free is always a plus! I love body scrubs but haven't bought any in a while. That looks like it smells fabulous and now you are making me go out and seek some. Ooh yes, get yourself a body scrub a.s.a.p.! I wish I could smell it, I am sure it smells great. That is kool that you used to make your own. It's smells just like a juicy watermelon. I don't smell the vodka at all. Personally, I'm glad I don't. I need to use a body scrub more often. I'm terrible at it and I'm sure my skin would appreciate it. This one sounds perfect, I love a nice smell and baby soft skin. This sounds like an amazing drink. LOL! I wish I could smell the scrub through the CPU screen. I have very sensitive skin and I am usually hesitant to try new products on my skin, but I am always willing to try organic products! This product sounds like it could work wonders for the skin. I was reading a natural hair book the other day, and one the recipes called for a can of beer. I thought that was pretty interesting. Seems like a great body scrub. The name of this makes me hungry lol. It sounds delicious! Watermelon is one of the best scents for summer. This looks like it smells amazing! They did an incredible job with the branding and I am glad that it all matched so well. That is really different and interesting. I love lemon and peach scents for the summer.